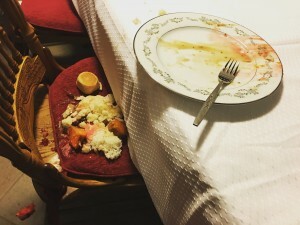 1:45am. Little dude is crying & kicking in his sleep. This entire conversation happened while he was still asleep. Him: I want it! No, not that one! THAT ONE! Mama Joz: Which one? This one? Him: I want the drum! Give me the drum! I want itttttttt!!! Joz: You can have it you can have it! You can have ten drums if you want! Joz: Ok, ok! You can just have one drum, then! Which one do you want? Do you want the big drum? Him: No! I don’t want that one! Joz: Oh, ok. How about this one? Do you want the loud drum? Him: Yes. I want the loud drum! I want the loudest drum! Joz: Here you go! It is the loudest drum ever!!! I love being able to grant any wish he has in his dreams, but when I fall asleep again, I’m going dream of the best ear plugs ever. 2017: A special happy Ba-Ba day to my Bro, dad/”BaBa” to my two darling nieces! 8/8 (Eight-Eight in Mandarin is pronounced “ba-ba.” Father in Mandarin is also pronounced “ba-ba”) is Father’s Day in Taiwan. Even though we refer to him as “Dad” in English, 95% of the time, we called him “Ba-Ba.” Usually, my Dad would be in Taiwan at this time of year, so I would have to remember to call him on 8/7 so I could wish him a happy Ba-Ba Day on the right day. I originally couldn’t remember where this picture was taken. I knew that it was taken on October 7, 2004, and thanks to my blog, I was able to go back figure out the context of this photo. I think this was taken in Rowland Heights, just before my Dad was going to get on to a shuttle bus that would have taken him to LAX to board a flight back to Taiwan. Hello from chilly Silicon Valley! 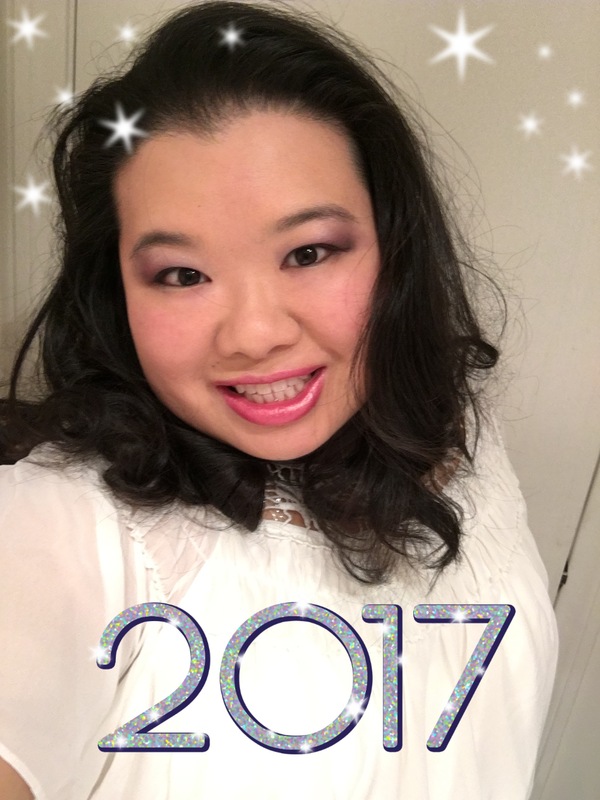 It’s my (almost) annual New Year’s post and picture, but I’m going to change it up a little bit for 2017. There were some big changes in our lives in the last couple of years which didn’t get documented on this blog since it was broken for the last half of 2015 and most of 2016. The biggest news, which people are still finding out about, is that we have a baby! He is actually already walking, so I guess that actually makes him a toddler, but in December of 2015, he showed up in our lives and nothing has been the same since. Unfortunately, just a few months after the baby’s arrival, we were shocked and saddened by the unexpected passing of Yoshi’s Dad. I remember when my Dad passed away 10 years ago, how difficult that first year without him was. All the milestones he missed felt especially difficult the first time through. This past year has been a year of milestones in two ways: the first time for everything with our son, but at the same time, the first time without Yoshi’s Dad. 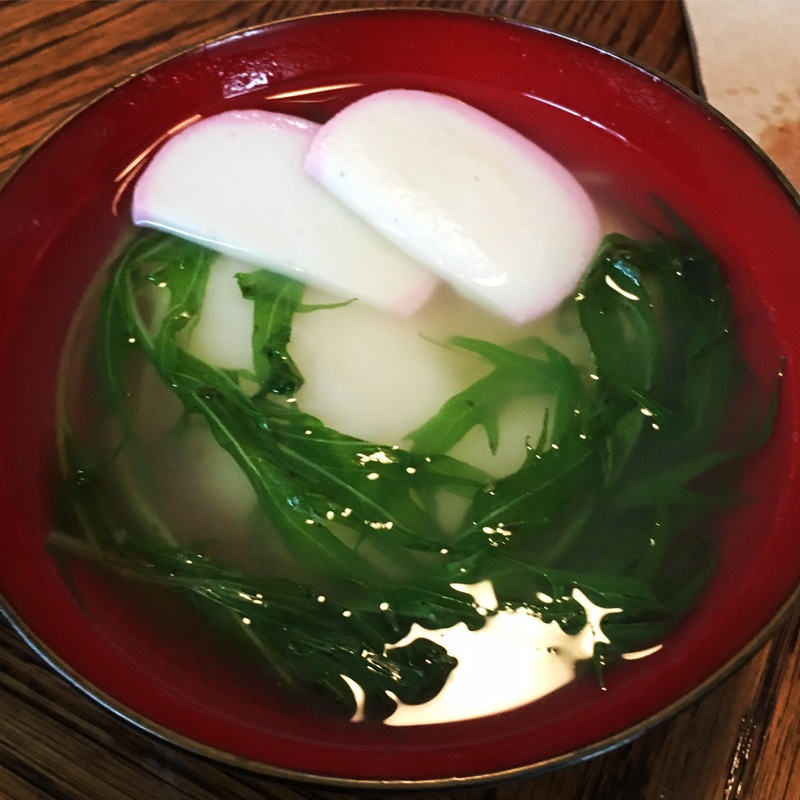 Although we did our best to see and visit with Yoshi’s parents year round, New Year’s Eve and New Year’s Day has special significance for Japanese American families and over the years we created our own special traditions together. The one that I think I’ll personally miss most is waking up early to drive out to Half Moon Bay on New Year’s Eve to pick up fresh crab from the boats in the harbor. That’s where I would take my annual photo before we went to have brunch/lunch at Ketch Joanne’s and then we would head back home where we would spend the evening helping prepare crab for New Year’s Day. Dinner on New Year’s Eve was fresh crab, with sourdough bread. Sometimes we would pop some sake or champagne at midnight. Since we always had fresh crab for dinner on New Year’s Eve, I would never actually have crab on New Year’s Day and instead, we would have a huge spread of osechi-ryori at both Yoshi’s mom’s (in San Leandro) and dad’s (in Sacramento) sides of the family. New Year’s Day would be a day full of driving, eating, family, more driving, more eating, more family, and then more driving. Last year, we spent New Year’s in Los Angeles with the baby, but this year, I didn’t know what to expect… except that it would be different without Yoshi’s Dad. We had thought about bringing the baby out to Half Moon Bay for lunch (no crab this year), but unfortunately, Yoshi’s Mom came down with a bug, so we ended up staying in and helping her out with the New Year’s cooking. It was pretty quiet, except for our noisy baby running around the house! I’m going to stay up until midnight and give Yoshi a kiss, but the baby is sleeping so I’d better sleep while I have the chance! I was having WordPress problems last summer but was so busy I didn’t have time to look into it. Then last November, my site totally went down. And then a few weeks later, in mid-December, our new baby arrived a month earlier than expected. Fixing my blog was way low on the list of priorities. July 31 is #FranklinDay! 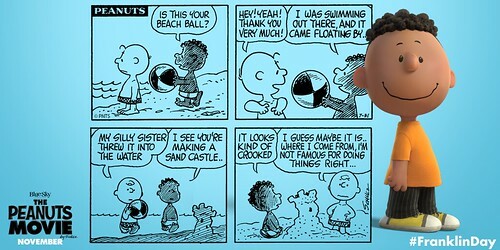 Celebrating Franklin’s first appearance in the world of Peanuts!, originally uploaded by @jozjozjoz. 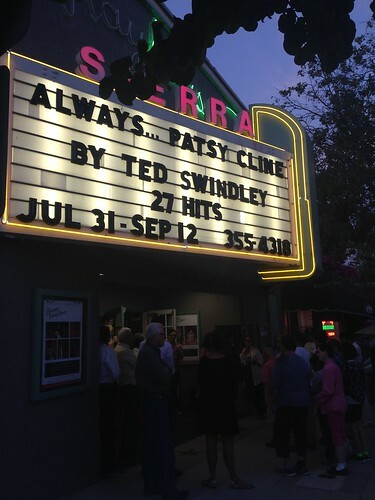 PIC: Marquee at @s_m_playhouse is ready for Opening Night for #AlwaysPatsyCline #MyDayInLA, originally uploaded by @jozjozjoz. 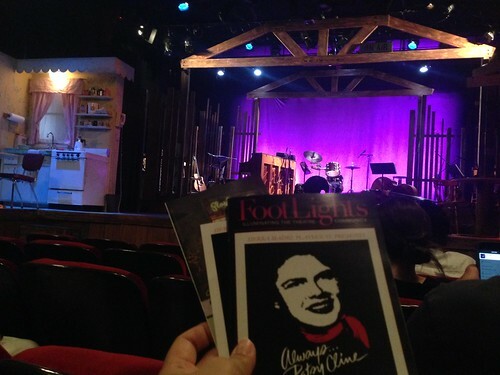 PIC: First look #AlwaysPatsyCline at @s_m_playhouse #MyDayInLA, originally uploaded by @jozjozjoz. PIC: VIP fun! 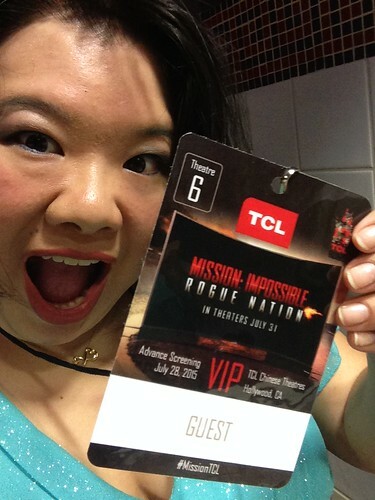 @jozjozjoz at #missionimpossible #gorogue screening. Thx @TCL_USA, red carpet treatment! #MissionTCL, originally uploaded by @jozjozjoz. 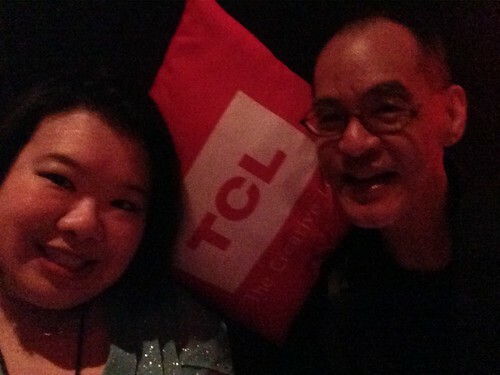 Advanced Screening of "Mission Impossible: Rogue Nation"
PIC: @jozjozjoz & @kenchoy ready for #missionimpossible #gorogue Thx @TCL_USA #MissionTCL, originally uploaded by @jozjozjoz. 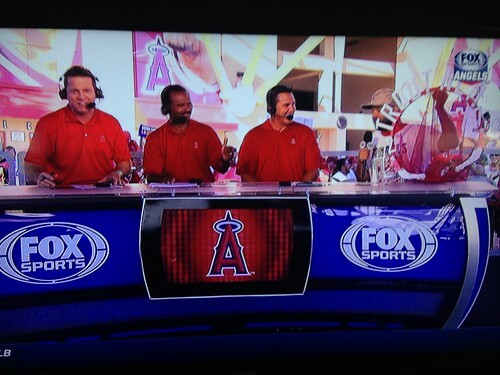 PIC of my TV: Watching @TroutNetGuy27 on @FOXsports #TroutNetGuy, originally uploaded by @jozjozjoz. Screenshot: Best text message that received today, from @GoJunko. #LOL, originally uploaded by @jozjozjoz. 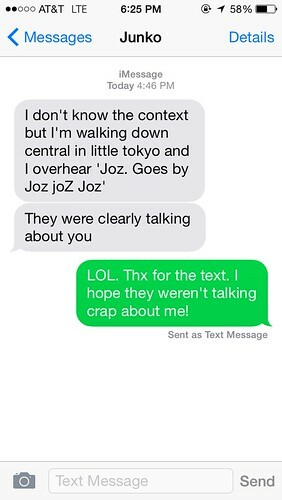 I was on a call, leaving a work session in Little Tokyo, when I got this text message from Junko. What’s funnier is that a few seconds later, while I was still on the phone, Junko walked by and waved at me. And then half an hour later, 3 blocks away, she was the first person I ran into at the Higashi Honganji Obon Festival. PIC: Party in the Presidential Suite of @notmegawattage at #NN15. #latergram, originally uploaded by @jozjozjoz. PIC: The unofficial hungry people caucus of #NN15! @cyn3matic @jozjozjoz @Curtischin @rxi, originally uploaded by @jozjozjoz. Screenshot: I just got an emergency alert on my phone. Scared me to bits it was so loud. 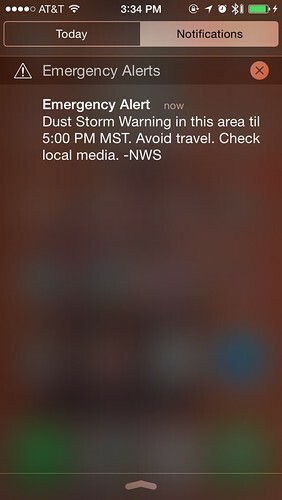 Screenshot: I just got an emergency alert on my phone. Scared me to bits it was so loud., originally uploaded by @jozjozjoz. PIC: "You don’t get what you don’t fight for!" –@SenWarren asks #NN15 to fight for America, originally uploaded by @jozjozjoz. 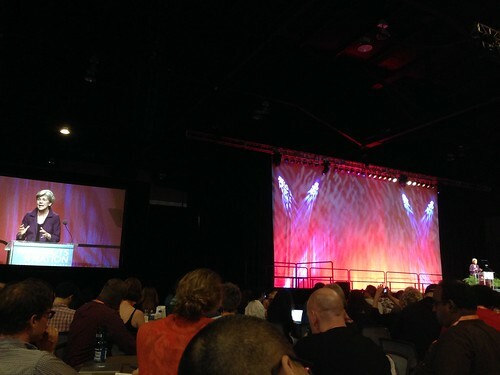 PIC: @SenWarren addresses the #NN15 audience with the morning keynote. 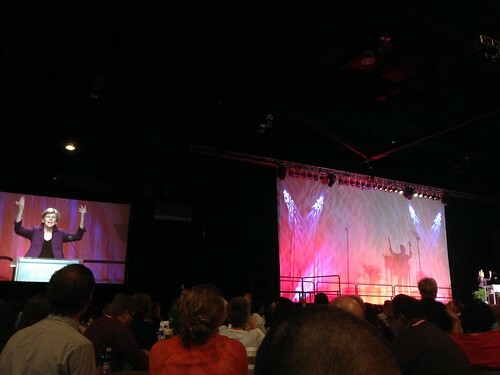 PIC: @SenWarren addresses the #NN15 audience with the morning keynote., originally uploaded by @jozjozjoz. PIC: Congressman Raul Grijalva introducing Elizabeth Warren! 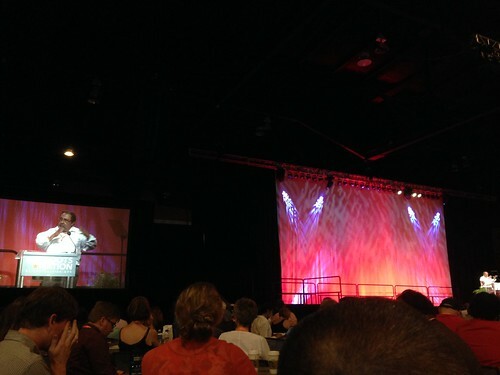 #NN15, originally uploaded by @jozjozjoz. 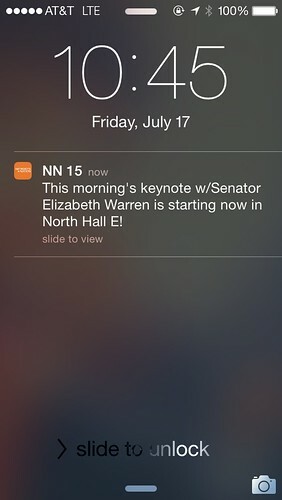 Screenshot: Getting excited to watch @SenWarren at @Netroots_Nation #NN15, originally uploaded by @jozjozjoz. 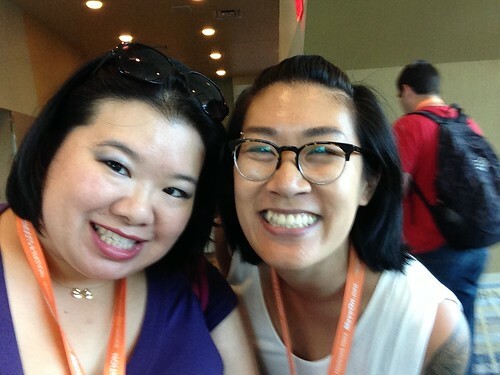 PIC: So happy to meet @estherxlwang in person at #NN15, originally uploaded by @jozjozjoz. 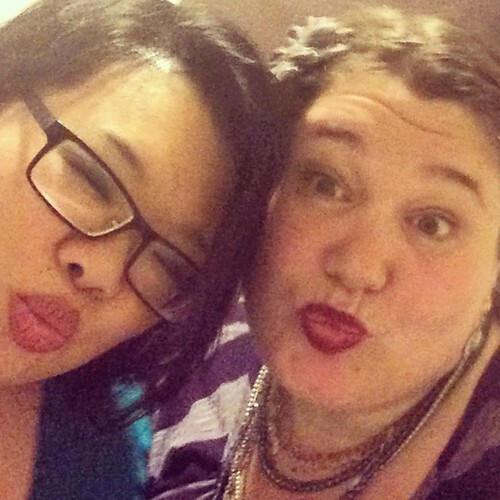 I already had her on my "Awesome Wangs" Twitter List but now I can add her to my "IRL" Twitter List, too! PANORAMIC: Construction outside Terminal 1 at LAX, originally uploaded by @jozjozjoz. 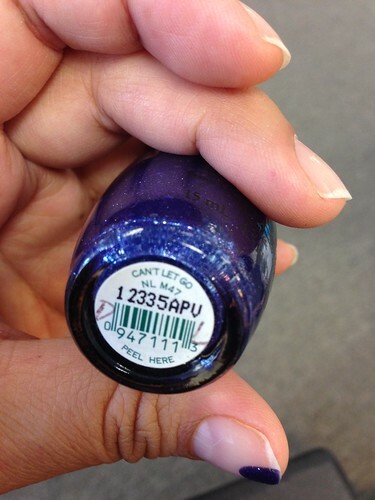 PIC: Well, this is a new shade for my toes. 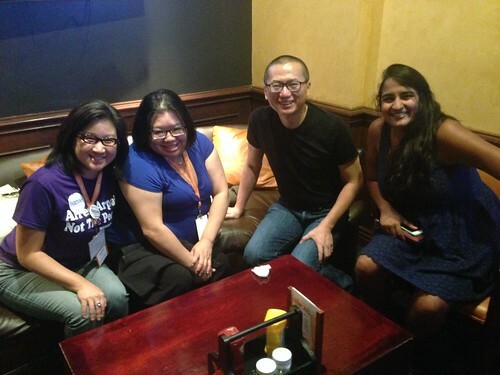 #NN15, originally uploaded by @jozjozjoz. PIC: Oh no! What does it mean if #AntMan is bigger than me?! How small am I?! PIC: Oh no! 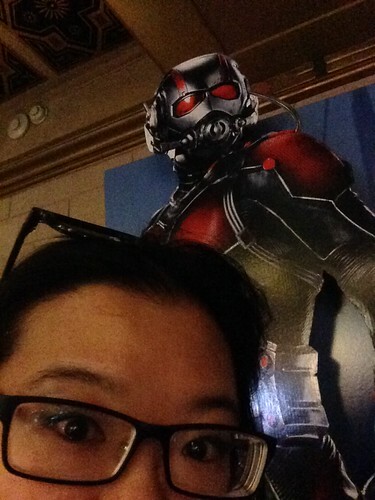 What does it mean if #AntMan is bigger than me?! How small am I? !, originally uploaded by @jozjozjoz.